Delicious Rotisserie chicken is a winner to entice hungry consumers back in-store again and again. A cooked chicken suits today’s busy, time-poor, cash-conscious customers who need value for money food to go and food to take home for the entire family to enjoy. A rotisserie chicken offering in-store provides fantastic profit margins, is a superb cross selling tool and helps increase sales of other products sold includes sides, salads, vegetables, wine, breads and other accompanying dishes. 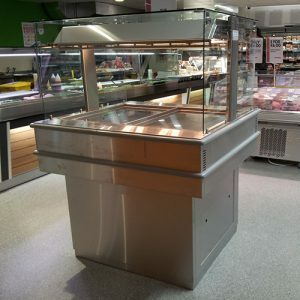 A Henny Penny rotisserie oven is more efficient than most as it needs NO extraction, is easier to position anywhere instore and helps to creates maximum visual impact and theatre when placed out front, close to customers. With the Henny Penny Rotisserie, customers can see foods during cooking up close (without fear of being burned) which helps to drive sales. Henny Penny rotisserie can cook a full load of chickens in a shorter amount of time, giving it the ability to produce more cooked birds, more often. Once finished cooking, a Henny Penny Rotisserie holds cooked birds on display in hold mode for up to 4 hours with perfect, moist flavour – without drying out or continuing to cook – maximising visual impact and sales. 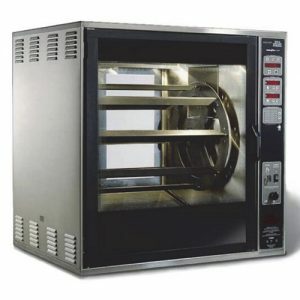 Customers growing demand for quality rotisserie food to go has seen emerging new dishes become very popular. 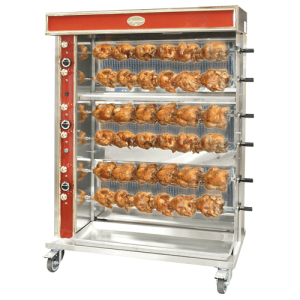 Henny Penny rotisserie ovens are famous for producing delicious Piri Piri chicken, lemongrass, garlic and BBQ flavoured birds, BBQ ribs, wings, ham or lamb shanks and delicious but cheap cuts. Henny Penny’s range of spits, rotisserie baskets and clam baskets and simplicity of cooking with a pre-programmed rotisserie makes it all so easy. 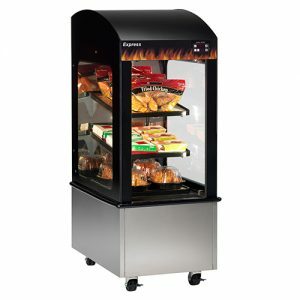 To maximise a hot rotisserie chicken and hot food-to- go, Martin Food Equipment also provide a wide range of Henny Penny hot food display units and self-serve merchandising solutions to complement your offer.